Richard A. Guthrie, 86, formerly of Warrington, PA, passed away calmly and peacefully surrounded by love, on November 30, 2018. A lifelong resident of Bucks County, Rich was born in Trevose, the youngest of five children born to James Cephas and Marie Elizabeth (Hediger) Guthrie. After graduating Valedictorian of his class at Lower Moreland High School where he also excelled in sports, he served in the US Army. While in boot camp in TX, he enjoyed playing ball with Willie Mays. Stationed in Korea, he had the honor and opportunity to chauffer Marilyn Monroe when she went to entertain the troops. In February of 1956, he married Phyllis Jane Ludlow, also of Trevose. Sharing a great sense of humor, they raised their three children and numerous furry and feathered friends on Kelly Road. Employed by Standard Press Steel, Rich had a long career in the tool and die business, retiring from the Jade Corp in 2001. He played on ball teams and enjoyed coaching his children’s sports. A member of SPEBSQA (Society for the Preservation and Encouragement of Barber Shop Quartet Singing in America), he had a beautiful tenor singing voice, and also enjoyed playing the banjo and harmonica. Since the passing of his wife in 2007 Rich became a "Dr. Doolittle" surrounded by counltess critters, numerous cats, dogs, raccoons, deer and vultures until earlier this year when he moved to Maine to live. 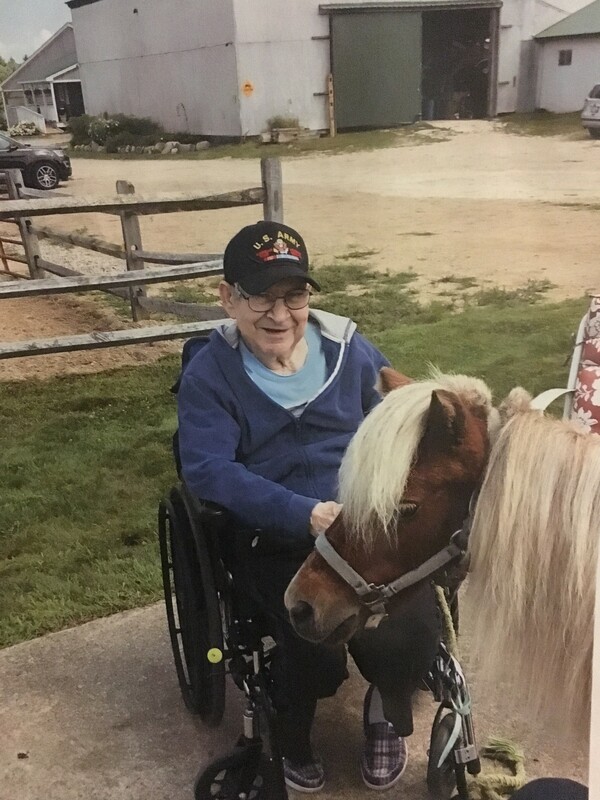 His last five months were spent at the Maine Veterans' Homes in Scarborough, ME where he received excellent care, for which his family will be eternally grateful. Rich leaves behind a daughter, JoAnn (Steve Godin) Beaudette of South Berwick, ME, sons Jim (Deb) Guthrie of Phoenix, AZ and Rich (Trudi) Guthrie of Elliottsburg, PA, nine grandchildren, Jennie (Amit) Cuchhadia, Sarah (Pete) Lajoie, Jim (Emily) Guthrie, Tim (Buffy) Guthrie, Jackie (Mike) St.Onge, Chris Guthrie, Gabe Guthrie, Emily Beaudette, and Lily Guthrie, and nine great-grandchildren, Amisha and Ajay Cuchhadia, Zoey Lajoie, Hayden Guthrie, Lexy, Brandon and Jason Guthrie, Brayden and Addie St.Onge, one sister, Joan (Fred) Shahan of Warrington, many loving nieces, nephews, cousins and dear friends, among them, Anita and Don Kaiser to whom we feel more gratitude than words can convey.. The family wishes also to recognize and share their sincere appreciation to the Maine Veterans' Homes of Scarborough for their respect and high quality care and service to our father.